Unemployment rates are higher than most U.S. Citizens have seen in their lifetime. Nestled in the Northeast, Rhode Island is facing the third highest rates according to the Bureau of Labor Statistics, capping out November with 12.9% of the population jobless. Despite high unemployment rates, 212, Inc. is experiencing explosive growth and currently hiring to staff massive increases requested from its Fortune 50 client base. Particularly, staffing will be for a Management Trainee position. 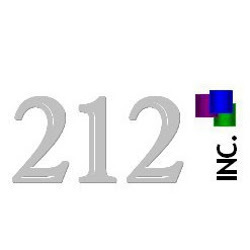 212, Inc. has reached into the community to look for a wide range of candidates to fill immediate openings; from people new to the job market to people who are looking for a career change. 212's ability to continue to grow stems from success it achieved in the New York and Rhode Island area. Rated amongst the top of Brown-Wilson Group/Datamonitor’s “The Black Book of Outsourcing’’ 2009 annual survey, 212, Inc. was an integral part in earning the award for Overall Client Satisfaction. 212, Inc. is dedicated to increasing opportunities for their clients as well as their associates, and are looking hiring now to train managers for additional markets in 2010. The entry-level training program 212, Inc. provides is second-to-none, including digital interactive training specially designed for their current marketing platform to in-person client presentations with on the spot coaching. All candidates looking for entry-level training in the field of Marketing are encouraged to apply. Resumes should be posted in the body of an email (not as attachments) and sent to hr@212marketingsolutions.com. Specializing in face-to-face customer retention, new customer acquisitions and company branding, 212, Inc. achieves its client’s goals through personalized presentations for potential clientele and existing ones.